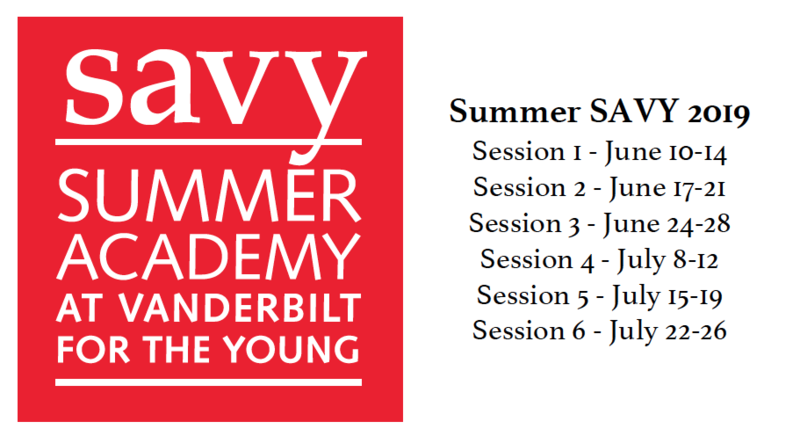 SAVY is an academic program offered by Programs for Talented Youth that provides a dynamic, fast-paced curriculum experience to qualifying gifted children in grades K–7. Students in the program typically test around the 95th percentile on an ability test or in one or more subjects on an academic achievement test. Content experts and master teachers trained in gifted education implement an accelerated curriculum for SAVY courses with teaching assistants helping in the classroom. Program Support — Supervise students, provide accountability to students and instructors for program schedules and policies, understand and implement program and university policies related to protection of minors, and provide additional support as determined by administrative staff. Logistical Support — Procure copies and materials for the instructor, set up for labs and other classroom activities, assist with arrival and dismissal each day, and other duties necessary to the smooth operations of the classroom. Student Support — Work closely with students in the classroom and serve as a liaison with appropriate staff about students’ socio-emotional and academic concerns. TAs may work one or multiple weeks. Teaching Assistants will also coordinate meetings with instructors prior to the program to help prepare for each class. Please note that this is a full-time position. Teaching Assistants simply cannot hold down other jobs or classes that require work during the SAVY day. Qualified applicants must have a degree or be seeking a degree in education or a related field and have experience working with students in an academic setting. Current upperclassmen and Master’s students preferred. For questions, please contact the SAVY Program Coordinator, Emilie Hall.